Tranquillity, space, comfort : These words reflect perfectly the atmosphere within the campsite. 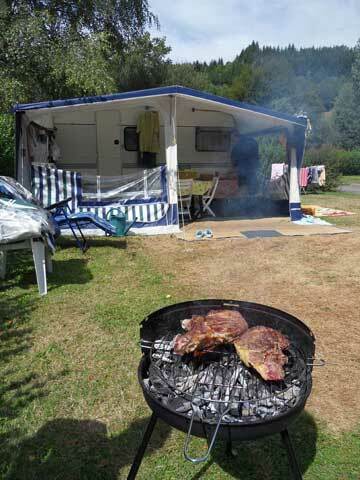 The park is flat, the caravan and motorhome pitches are large (95 to 200m²), grassy, wooded and separated by hedges. Most of them are equipped with electric hook-ups and water points. The campsite features 2 practical sanitary blocks (one which is heated in low season): hot water, showers (10) with thermostatic mixing valves, bathroom sinks (15 out of which 6 are in shower cabin), baby bathtubs, toilets for disabled people. Motorhomes on a pitch have access to the service point (emptying chemical toilet and grey water) and fill up drinking water. 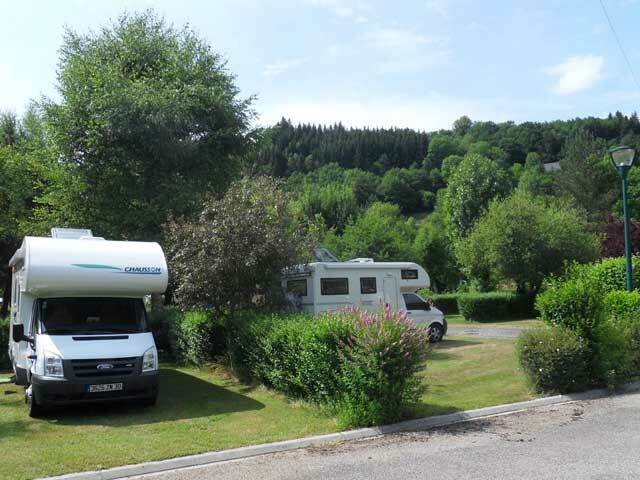 Passing motorhomes in the Puy-de-Dôme can use the service station for 4€. Motorhomes may also use the outside parking for 5€ a night. 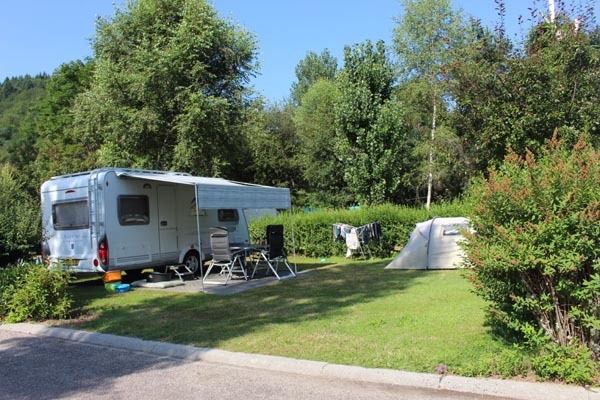 Campsite services : selling or lending of adapters, small fridge rental (85 cm high, 53 cm deep and 49 cm wide, ask for a 5-ampere option) to put in your tent or under a caravan owning. Arrival or departure days any day of the week, even in high season, though it is advisable to avoid arriving on a Saturday (in the high season): Less traffic and quick check in. 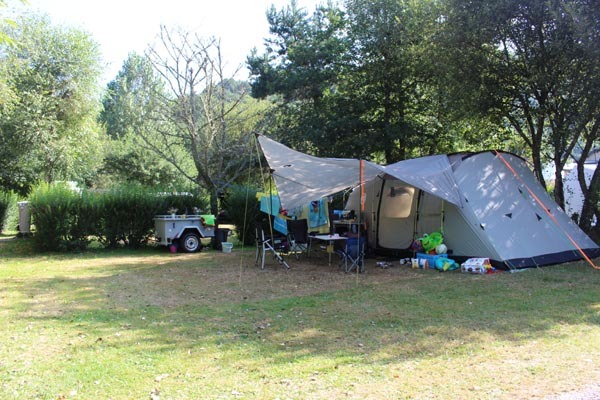 Advice : To have a comfortable holiday on a campsite in the Puy-de-Dôme, buy a good quality tent, which, if well kept will last much longer. Make sure you bring warm clothes with you, because sometimes we get quite cold nights.